SAN DIEGO, California. Three goals in a span of ten minutes help El Tri brush aside potential novelas to defeat Chile 3-1 at SD CCU Stadium. their first victory under manager Gerardo Martino. Raul Jimenez (54′), Hector Moreno (63′), and Hirving Lzano (64′) provided the goalscoring El Tri needed during the early stages of the second half, while Nicolas Castillo (69′) provided the consolation goal for Chile. From the start of the match, El Tri had looked to generate chances from possession but found themselves struggling to trouble Chile goalkeeper Gabriel Arias early on. As the half wore on La Roja made the better chances through midfielder/outside defender Charles Aranguiz. The Bayer Leverkeusen midfielder found Arturo Vidal to force Guillermo Ochoa into a flying save in the fourteenth minute on one chance, and forced Hector Moreno and Carlos Salcedo to clear out of bounds or be precise on their clearances on other crosses that was headed for Ivan Morales and Arturo Vidal. 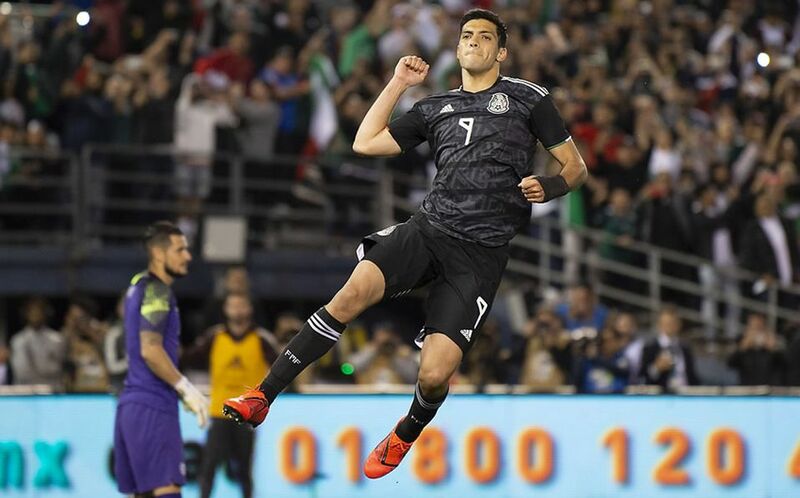 El Tri were not without their chances in the opening stanza, and the first pressure-and-transition chance of the Martino era resulted in a long shot from Raul Jimenez that travelled well high and wide of the goal. As soon as the second half started, it looked like El Tri understood where to pressure and hurt La Roja in ways that made effective chances. Four minutes into the second half, Raul Jimenez evades a Chile defender from the attacker’s left flank inside the penalty area and fired a low, sharp angle shot that rang off the far post. Two minute later, Carlos Salcedo earned Mexico a penalty when he was taken down inside the attacking penalty area. Raul Jimenez converted the penalty and got Arias to guess the wrong way to put El Tri in front. El Tri, through Rodolfo Pizarro and Raul Jimenez, continued to generate chances. However, El Tri shifted to a high, constantly moving pressure and positioning for quick transitions that put La Roja in compromised positions. 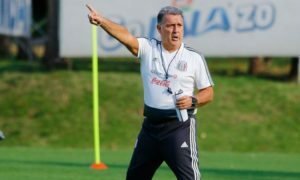 Eight minutes after Jimenez’s goal, Rodolfo Pizarro and Hirving Lozano worked a cross off a backheel save (and cross) for Jimenez inside the six yard box. However, Eugenio Mena got to the cross before the Wolverhampton striker could lay a touch to the ball. On the resulting corner in minute 63,, however, Hector Moreno placed a header off of an Andres Guardado corner beyond the reach of Arias to extend the Mexico lead to 2-0. 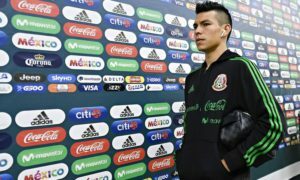 On the next kickoff, Andres Guardado turned an interception into a triangulation involving three attackers that resulted in Hirving Lozano extending Mexico’s lead to 3-0. Not all would be golden for El Tri. 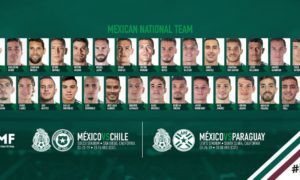 Five minutes after El Tri got their 3-0 advantage, Nicolas Castillo finished a cross with a bullet header that caught Guillermo Ochoa flat-footed to end the chance for Ochoa to earn a clean sheet in his 100th appearance and reduce the Mexico advantage to 3-1. In the later stages of the second half, both teams made significant changes and both teams resorted to working on their recovery, positioning, and precision (and purpose of movement) with and without the ball that saw few chances. Javier ‘Chicharito’ Hernandez, who elected to hold his wedding in Chula Vista two days before the match, had thought he turned a quick transition down the middle of the pitch into a 4-1 lead for Mexico in second half stoppage time. But he was ruled offside when he received his throughball. But nevertheless, El Tri finished out their night in San Diego with a win full of positives and sense of a process. That sense of process El Tri may have had could only be dampered by the fact Chile has had a habit of conceding several goals in short spans to lose two of their most recent matches against opposition within the Top 40 of the FIFA rankings–three goals in 28 minutes against Costa Rica and three times in 22 minutes against Peru. El Tri will travel to Santa Clara, California to face Paraguay on Tuesday, March 26. Chile travels to Houston, Texas the same day to take on the United States to close out the international window.